Golubac or the City of Golubac is a monumental medieval fortress on the right side of Danube, at the entrance to Djerdap canyon. The first records of the fortress are from 1335. There are different legends about the origin of the name of the city. According to the one of them in this place lived a beautiful maiden named Golubana and stories of her beauty have reached to the ears of an Ottoman pasha. Pasha wanted to marry her and he sent the proposal gifts to the girl, but Golubana refused them all. 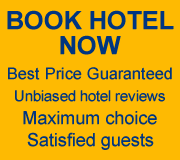 Pasha then ordered, as a punishment for the girl, to tie her on the rock hill above Danube. Golubana was tortured and then left to the birds to feast on her flesh. According to the other story, in the main tower that dominates the town, the Byzantine princess Jelena was imprisoned. In order to lessen the loneliness she started to tend the pigeons, in Serbian “golub”, and so the city got its name. There are also those who claim that the city got this name because of numerous wild pigeons had been occupying the cliffs and some other story tells us that the name comes from the towers that look like pigeons on the rocky hill. 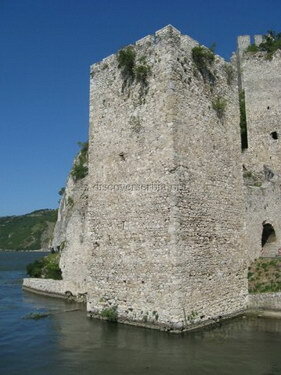 Although Golubac was placed on the high rocky cliff, it had been conquered many times. 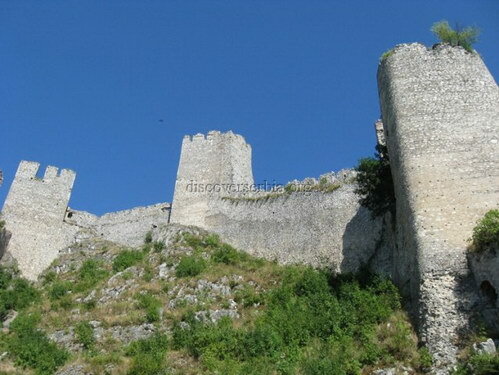 Fortress was in the hands of Serbian Tsar Lazar (according to some sources Serbs had only the surroundings of the city), and after the battle for Kosovo in 1389, the town was occupied by Turks, and soon after them by Hungarians. In 1403 Hungarians surrendered the city to Serbian ruler Stefan and according to the agreement, after the Stefan's death Golubac was to be returned to the Hungarians together with Belgrade. Because of some reasons, nevertheless, the city was surrendered to the Turks. 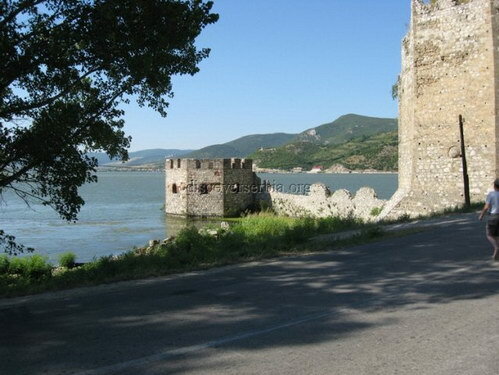 Till 1867 Golubac was mostly in the hands of Turks. 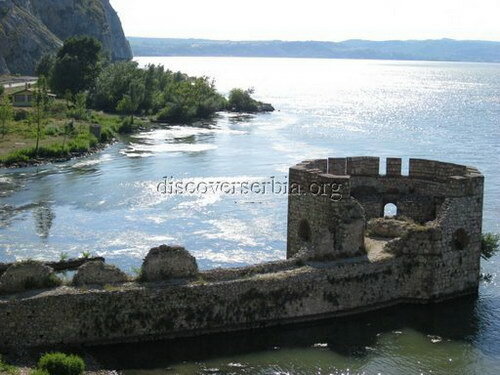 After the First World War, the road was constructed trough the fortress and by the construction of the hydropower plant Djerdap the level of the Danube was altered and the lower parts of the island and city were submerged. In this place Danube is 7 km width and people have the impression like they are at the sea. Since the fortress has been neglected for centuries, it is in a bad condition. It is not recommended to enter the fortress, for the wooden parts of the structure are retted and ruined. Accidents did happen: a girl died when the wooden rail she was reclining on broke off, and another student was hurt when the part of the stone wall she stood on collapsed.